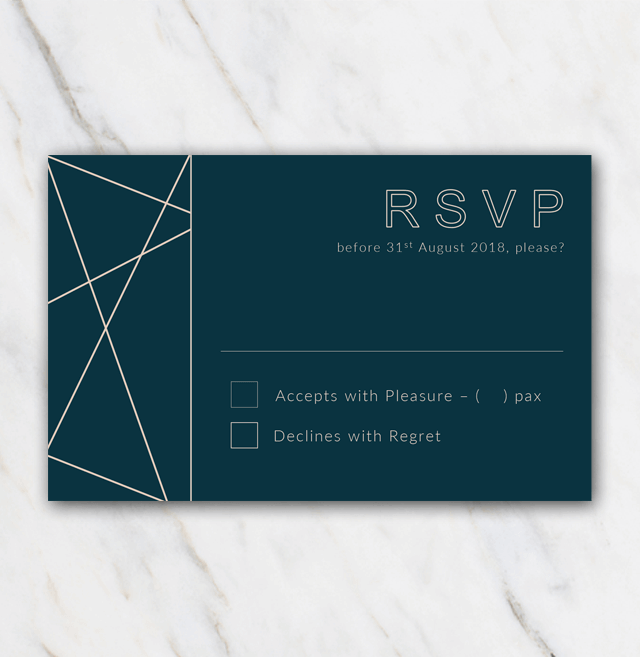 I would like to refer to this wedding rsvp template as a typical 'winter' themed style, but of course you can also use it for a sophisticated summer, autumn or spring themed wedding! You can spice it up by asking your local copy shop to foil print the geometric lines and 'RSVP' with copper foil. This will give it a realy sophisticated look and feel. Looking for something completely else? Have a look at this page for all the other wedding rsvp templates, of course all free of charge!